2) A discipleʼs commitment to be purged/cleansed of his soulʼs worldly beliefs and relationships. Once the natural man, made up of both body and soul, has been cleansed and prepared, entrance into the Holy Place, in which dwells the Presence of God, becomes possible. Under the Israelite Covenant, only two classes of people were allowed to enter into the Tabernacle: priests and Levites. Num. 18:1-11 Both of these groups were required to first be washed with water and sanctified in front of the Tabernacle, that is, in the area of the Laver. Lev. 8:1-10; Num. 8:5-11 For an expanded explanation of these things, see Careers in the Kingdom: Ecclesiastical Jobs. The Holy Tabernacle was divided by a veil into into two parts: 1) the Holy Place, and 2) the Most Holy Place. In the body of Man, the former corresponds to the chest, which sits above the abdomen; and the latter to the head, above the chest. Now, there were three implements that God commanded to be made and set up in the Holy Place: a Lampstand/Menorah of seven oil lamps, a Table for holding twelve loaves of showbread, and an Altar of Incense to be placed between them. Revelation 8:1 …in heaven… 3 …another angel…was given much incense, that he should offer it with the prayers of all the saints upon the Golden Altar which was before the throne. 4 And the smoke of the incense, with the prayers of the saints, ascended to God from the angelʼs hand. Revelation 4:5 Seven lamps of fire [are] burning before the throne, which are the seven Spirits of God. Zechariah 4:2 …I saw, and behold! a menorah/lampstand all of gold, and a bowl on top of it, and its seven lamps upon it; with seven and seven pipes to the lamps which are on top of it. … 10 These seven [lamps] are the eyes of the LORD: they go out in all the earth. Revelation 5:6 …[the] Lamb…having seven horns and seven eyes, which are the Seven Spirits of God having been sent out into all the earth. The Holy Place of the Tabernacle (Heb. mishkawn: residence) serves as the court of the Holy Oneʼs residence. Because His Holy Presence reigns throughout both parts of His residence, the whole is also called the Sanctuary (Heb. miqdawsh, qodesh; Gr. naos). The forepart – the Holy Place – corresponds to the Second Heaven. That is the Court of the Heavenly Sanctuary, wherein the Most High on occasion lowers Himself to appear on a throne. From the Heavenly Throne He passes judgment upon the angels of the lower two heavens and men who dwell on the earth. Such a judgment in the Latter Days is the topic of Revelation 4-5ff. and Daniel 7:9ff. 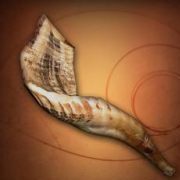 Both ruach and pneuma have dual meanings, depending on the context: spirit or wind. In its lower nature, wind, its most significant use is in the chest cavity, the place of the lungs and the heart. Lung-related words such as pneumonic and pneumonia reflect this. This lower-level ruach/pneuma, via the lungs and the heart, vitalizes manʼs blood, which blood then enlivens the cells of the physical body. But remember, “the soul/nephesh/psuchē is in the blood” – thus the purity of the ruach is related to the purity of the soul in the blood. The most external and material representation in the world of the Word of God is the Holy Scriptures. “If anyone eats of this bread, he will live forever…” 6:51 That is, all who willingly consume and receive nourishment from Christʼs Word/Teachings/Scriptures are enlivened by “the words of eternal life.” 6:68 A continual consumption of the Word/Scriptures is therefore required of a disciple if he should wish to remain encompassed within the Holiness of God. Acts 2:1 When the day of Pentecost had fully come, they were all with one accord in one place. 2 And suddenly there came a sound out of heaven, as of a rushing mighty wind*… 4 And they were all filled with the Holy Spirit… 1:7 And [Jesus] said to them… 8 “…when the Holy Spirit has come upon you…you shall be witnesses to Me [that is, esp. to His words]…unto the ends of the earth. *Gr. pnoēs, from the same root as pneuma. Leviticus 23:16 “Count fifty [cf. Gr. pentēkostē: fiftieth] days to the day after the seventh Sabbath; then you shall bring a new grain offering to the LORD. 17 …two wave loaves…of fine flour; they shall be baked with leaven: the firstfruits to the LORD. All of these events took/take place on the Feast of Firstfruits, that is, Pentecost. They mark new covenants: the former with Israel, the latter with the Church. In Part 2 of this series, we saw that leaven represents doctrine. Disciples are required to first purge themselves of all their old doctrine (represented by the Feast of Unleavened Bread) before their entry into the Holy Place of Godʼs Presence, where they are to ingest the new Bread of Life, with the new leaven of the Word of God through Christ. This is the message represented by the Feast of Firstfruits. 1) Represented by the Lampstand: a disciple is to receive the Holy Spirit anointing. 2) Represented by the Table of Showbread: a disciple is to consume knowledge and understanding of Christʼs new doctrine. 3) Represented by the Altar of Incense: a disciple is to become engaged in offering sacrifices of praise and intercessory prayer. These three disciplines are needed by a disciple to prepare him for entry into the Most Holy Place, which is the topic of the next blog.